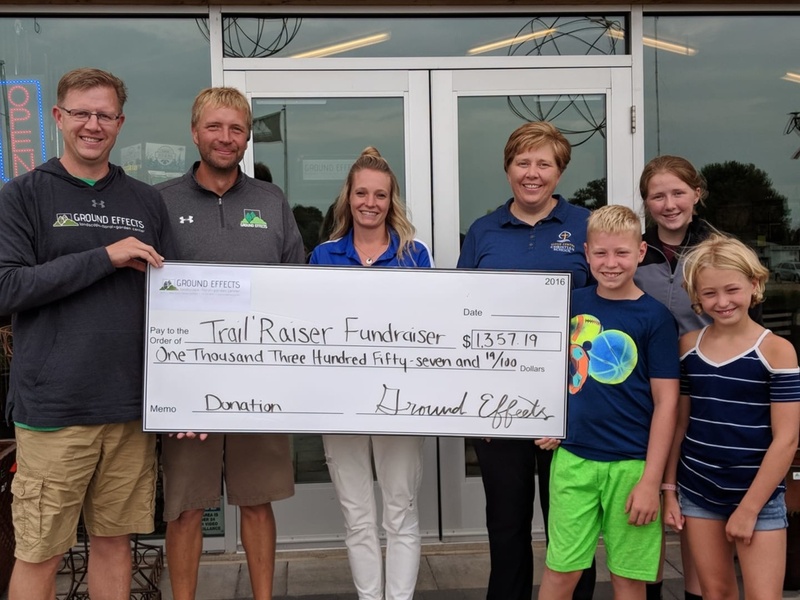 Presenting our donation to the Trail’ Raiser Fundraiser! Here at Ground Effects we love to support local charities and fundraising events! To ensure that everyone gets a fair chance at getting donations we require that all requests are made through the donation request form attached here. Please bring us a hard copy of the completed form. If you have a question about donations please contact us! At Ground Effects, we are thankful to have the opportunity to enjoy God’s world, faithfully seeking to inspire our people and our customers as we grow together with professionalism and innovation. Faith: Our center, it defines and guides us in our daily walk. Fun: We enjoy what we do, and want to share that with others. Customer Relationships: We value our customers, and the relationships we have with them. Professional: Honorable and consistent in all we do.